Durable, adjustable, and attractive floor stands in a range of sizes. Tool-free assembly with no dowels, pockets, or special graphic treatments required. 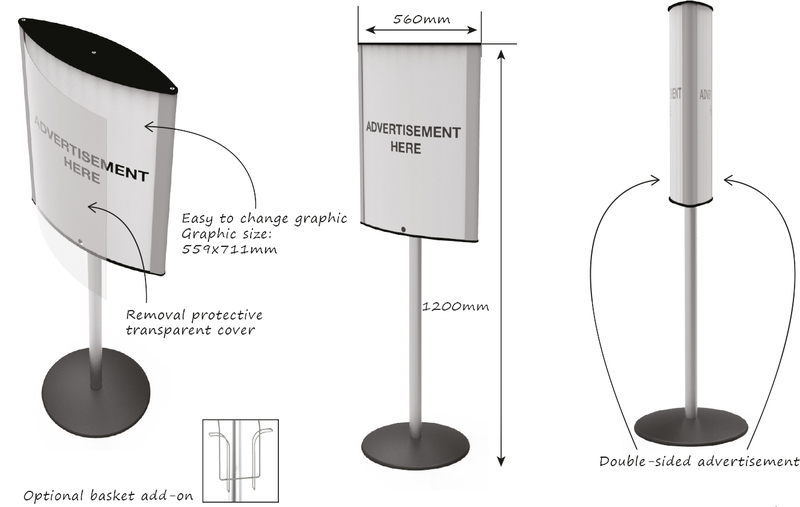 All display stands are lightweight and easy to place.